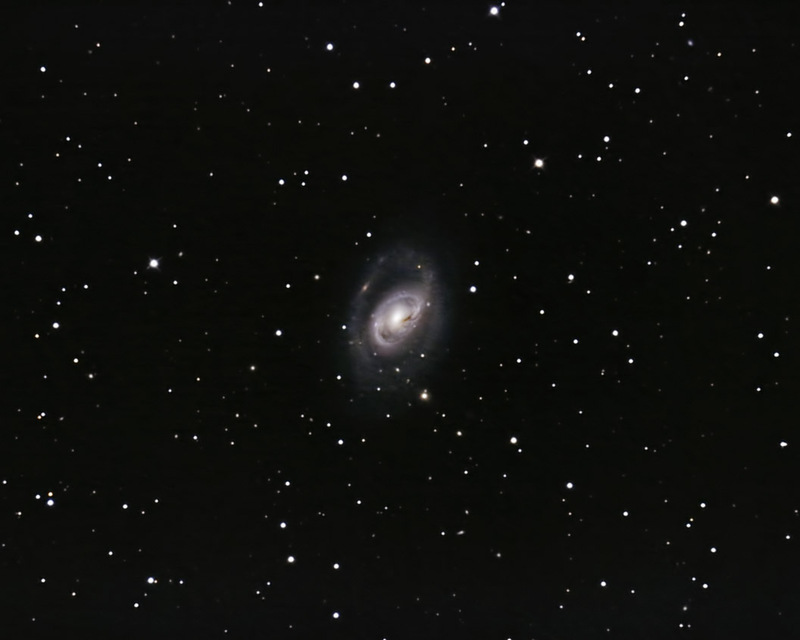 M96 is the largest of the galaxies in the Leo I group. It is a fine example of a face-on spiral galaxy. Visible through the spiral arm in the upper left section is a very distant edge-on galaxy. Images were focused using Live View. They were calibrated, aligned, and combined in ImagesPlus. The final image was adjusted in Photoshop CS2 (Curves, slight cropping). Noise was reduced by applying Gaussian blur throough a layer mask.